Parlez-vous Español en Happy Valley? Twenty-one students taking French or Spanish classes visited tourist attractions around Mussoorie in the month of March, creating videos – or “vlogs” – as tourist guides for future French or Spanish tourists. This was one of the programs offered in the annual Outdoor Learning Weekend. Starting at the school main gate, the students walked through Tehri Road and Mall Road, finally reaching the Tibetan Homes School in Happy Valley. The area is distinct in Mussoorie for its Tibetan population, with more than 5,000 Tibetan refugees in 2016. Some highlights of the trip include riding the cable car ride Ropeway to Gun Hill and visiting Shedup Choephel Ling Buddhist Temple. Simon Sookias, Class of 2021, also celebrated his birthday in a surprise party in the Little Llamas Café. One fact not commonly known is that the origins of Happy Valley as a Tibetan community go back to the visit of the Dalai Lama to Mussoorie in 1959. He was guiding the Tibetan Government in exile, staying in Mussoorie for one year. The Indian government sanctioned the region for Dalai Lama and his followers. The Tibetan culture was not lost by the community, as evident by the Buddhist temple nearby which is recognized as the 1st Tibetan shrine to be built in India. 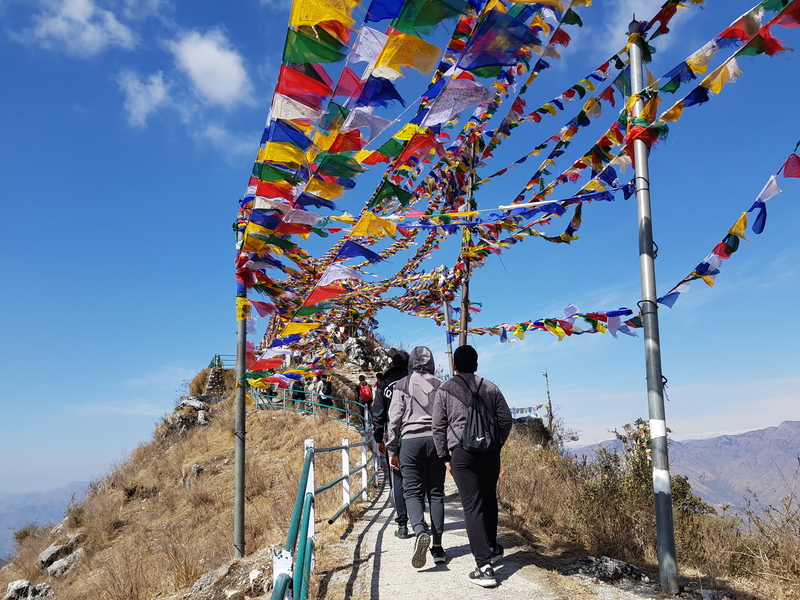 The students ended the trip with a short trek up a hill to visit the Buddhist temple and view the Mussoorie valley and the Himalayan ranges, with the resemblance of the house of George Everest far away. Ms. Loubna also noted that students who edit their video and submit it will get extra credit and the videos will get published on YouTube. In alignment with the expectations of the teachers, the students enjoyed the trip.